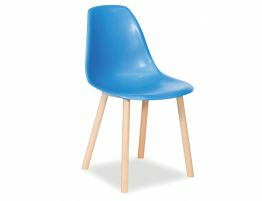 Are you a diner desperately seeking the ultimate modern dining chair? 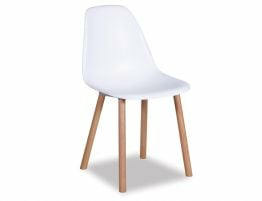 Put this sleek, chic white dining chair in your modern dining room, your upscale kitchen or even in your living area as an accent chair. The Relax House Canndale dining chair offers a cleverly reimagined midcentury modern dining chair for wherever you want to add a bit of panache. The Eames ‘Eiffel’ side chair took interior design in an entirely new direction for well over half a century with its uncommon, sculpted form. Now, our design team has reinvented a classic with the addition of a solid beechwood base, making this old standby chair novel and fresh. 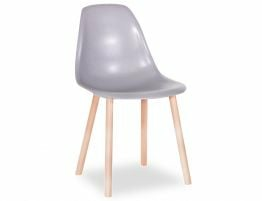 Our white ABS plastic dining chair is ideal when you are set on a black and white colour pallete or even a blend of clean neutrals and natural tones. 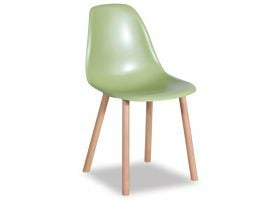 Our Canndale dining and accent chairs are available in a wide range of colours, including matt white, red, blue green and yellow. What a fun modern retro dining chair for your home, café or restaurant.